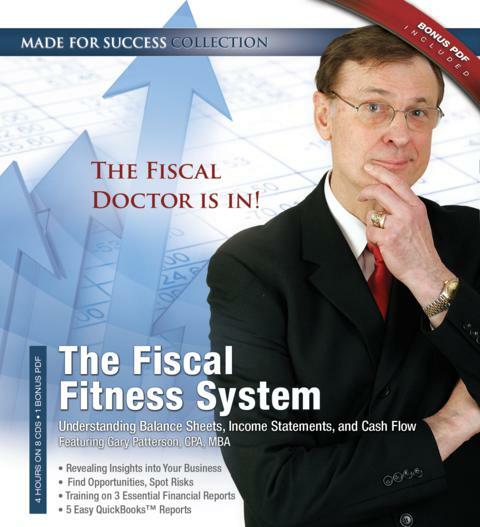 Fiscal fitness starts with awareness…and the first step is understanding that accounting is the language of business. You can reduce your risks in this turbulent economy by understanding the critical fundamentals that are the foundation of your decision making. Whether you are a first-time small-business owner, more seasoned, or even an aspiring middle manager, you can learn in an entertaining way how to start understanding financial statements enough to run your business better. • You start with a brief fiscal quiz of twenty targeted questions to uncover the blind spots to correct over time. • Follow that with a series of CDs that includes enjoyable thirty-minute segments on basic definitions and risk areas to be aware of for each of the three major financial statement tools—the balance sheet, income statement, and cash flow statement. • Finish with a segment revealing five key QuickBooks reports to better appreciate their value and what they can really tell you. For those of you using other accounting packages, don’t worry. These same reports exist in other accounting packages ranging from basic to enterprise level.